The researchers, who report their findings in the Aug. 24 issue of Science, began their experiment by creating quantum dots–tiny islands that act as artificial atoms–in graphene devices cooled to just a few degrees above absolute zero. "This is a textbook example of a problem–determining what the combined effect of spatial and magnetic confinement of electrons looks like–that you solve on paper when you're first exposed to quantum mechanics, but that no one's actually seen before," said NIST scientist and co-author Joseph Stroscio. "The key is that graphene is a truly two-dimensional material with an exposed sea of electrons at the surface," he added. "In previous experiments using other materials, quantum dots were buried at material interfaces so no one had been able to look inside them and see how the energy levels change when a magnetic field was applied." This achievement also opens possibilities for graphene to act as what the researchers call a "relativistic quantum simulator." The theory of relativity describes how objects behave when moving at or close to light speed. 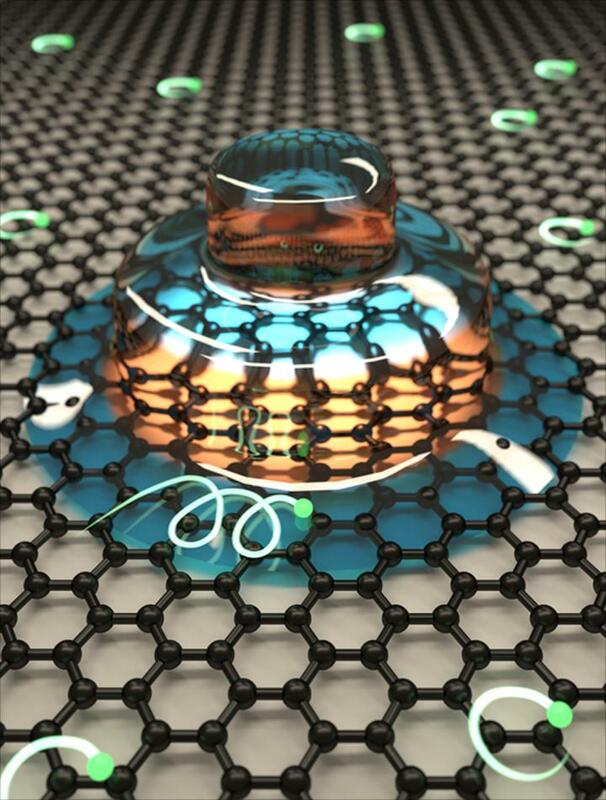 And electrons in graphene possess an unusual property–they move as if they are massless, like particles of light. Although electrons in graphene actually travel far slower than the speed of light, their light-like massless behavior has earned them the moniker of "relativistic" matter. The new study opens the door to creating a table-top experiment to study strongly confined relativistic matter.